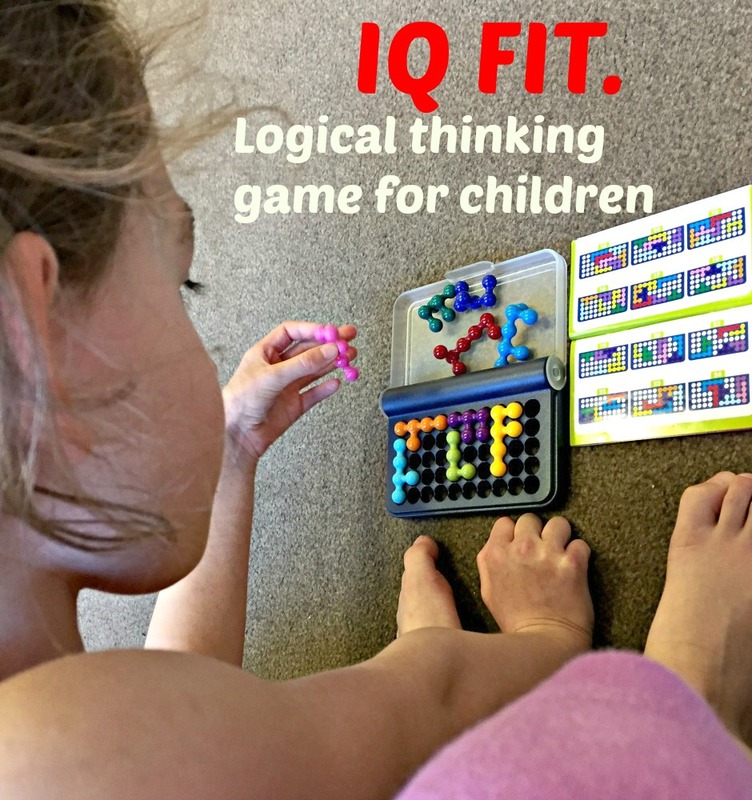 I have mentioned a few times that I like buying the kids logical thinking games as I believe it is an important skill and something that can be developed. I also like having games / activities that I can take with us when you are out and about in case one of the kids ends up waiting for the other (we do own an iPad but it does not go out with us). The IQ fIT is just this. It is a great logical thinking game that is compact, light weight and easy to keep stashed in a bag for those moments when I need to keep one of the kids busy. What I really like about the game is the 3 dimensional pieces. You have to slot the pieces into the holes on the board to complete the solution but the pieces are different depending upon which way you turn and rotate them. I love this !! The kids are really being challenged to think about how the pieces could fit as they have to consider all the ways they can twist and rotate the pieces to fit into the available holes. It really does make you think of all possible solutions. And I like the fact that it is tactile. The kids are picking up and holding the pieces, they are feeling the shapes while they are figuring out the solution. The game comes with a booklet containing 120 puzzles (the booklet also has solutions for all the puzzles). We have owned this game for a few years now and both kids have not yet completed all the puzzles. They tend to play it for a few weeks and then pack it away and when they return they often repeat a few of the same puzzles again before they try new ones. I think it is a great logical thinking game to have in the home or in your bag for those moments when you need something to distract a child or for when you are travelling. The whole family highly recommends this game (even my husband who has been caught having a go a few times). I bought this game for my kids and this is just my opinion about it. This entry was posted in Home education resources and tagged educational games, IQ fit, Logical thinking for kids, Smart Games, travel game. Bookmark the permalink.